Posted on December 10, 2010 by Jill B. The year 2011 is just weeks away, and with it comes a promising forecast for USB 3.0 and flash storage. More importantly, these predictions come from a global leader in memory products—Kingston Technology’s CEO John Tu. The company president touches on four important points concerning the memory market. Directly or indirectly, they demonstrate the vital role that USB storage plays. First, Tu predicts that there will be a more rapid adoption of USB 3.0 due to its design in countless upcoming motherboards. USB flash drives no longer consist of mere megabytes made for a few songs and work assignments. People put their entire lives on a flash drive—records, documents, memories in the form of pictures, videos and songs. Consumers realize this evolution of greater storage demand. USB 3.0 is the kind of technology that can keep up with hard drive backup and media libraries with data rates that are ten times the speed of USB 2.0. Second, the CEO believes that SSD will become the best solution for business storage, as the lack of moving parts for the technology and cut back on mechanical failures that often occur with HDDs. Depending on the system setup, USB 3.0 could be an important interface for SSD when multiple peripherals are required. Third, Tu says the blossoming tablet PC market could pave the way for more Flash products since the devices fall short for built in storage. According to Kingston, there were 10 billion iTunes and 3 billion App Store downloads just this year. As a result, consumers may want to add external storage in the form of a USB flash or external hard drive. The streamlined look and portability of a flash drive combined with its potential for large storage capacity would be an appealing choice for someone like a tablet user. Lastly, the CEO suggests that while there’s mainstream potential for cloud computing, bandwidth and security need to be enhanced before there’s any major progress. For the average consumer, uploading data to cloud storage can take more time than it’s worth. The instant data transfers and hardware encryption of USB and SSD devices outshines the virtualization of cloud. One thing is certain—as digital data grows, so does the need for flash technology. USB 3.0 will help to bridge the two so they can thrive together. Do you agree with Tu’s 2011 predictions? What are you hoping next year has in store for USB technology? 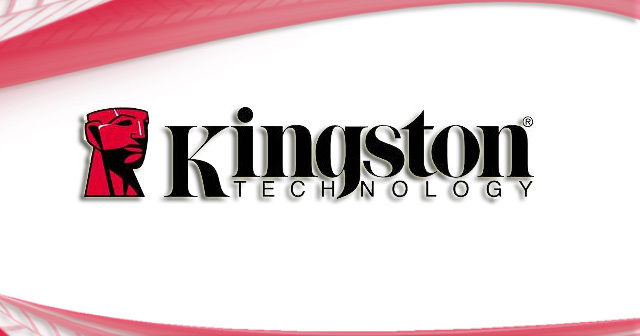 This entry was posted in Articles, External Hard Drive, Kingston Technology, Portable Hard Drive, SuperSpeed USB 3.0, USB 3.0, USB Flash Drives, USB Future, USB Storage Drives and tagged John Tu, Kingston CEO Growth Predictions, Kingston Technology, USB 3.0, USB 3.0 2011, USB technology. Bookmark the permalink.